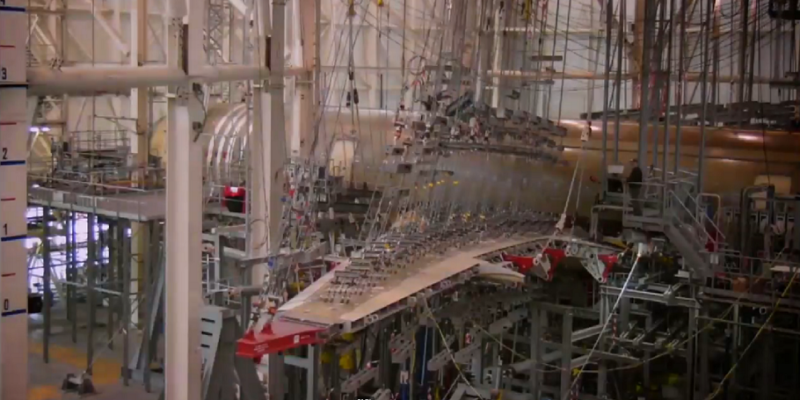 If you’ve ever been a bit weary about flying, this video from Airbus should make you feel better because it represents just one test planes go through before carrying actual passengers. 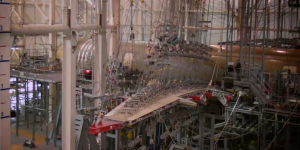 Below, you will see an Airbus A350 going through a crazy wing stress test, which includes a whole lot of wires bending the wing at obscene angles. It holds up beautifully, not only proving the A350 XWB’s structural limits but perhaps making some people feel more at ease when it comes to flying. Don’t you just love watching a huge engineer marvel being pushed to its limit? Airbus’ thorough programme of static ground testing — including mechanical load and pressurisation evaluations — proves the A350 XWB’s structural limits before the aircraft can make its first flight.